This weekend sees the 30-year DTM history of Mercedes-AMG Motorsport come to an end with a home race for the brand at Hockenheim. “This is it. The finale is already approaching. It’s kind of sad to think that this is our last race weekend as a team, but all these stories come to an end. It has been great to be a member of the family and to go into this last round of the title fight leading the championship. We have a great chance of winning this, and we have to keep up the good work. We need to stay focused and try to get this across the line. “I’m really looking forward to the upcoming race weekend, although I obviously have mixed feelings, as it’s the last race weekend of the season, which is always a strange feeling, but mostly because it’s the last race weekend for Mercedes in the DTM, which also ends my 15 years with Mercedes in the series. It’s a massive weekend for everybody, and it will be very emotional come Sunday when the chequered flag falls. Obviously, there is the championship battle going on. I’m firmly in the fight for the championship with Paul and also René. There is nothing to separate me and Paul, and based on recent performances, I think it is going to be a close fight between us. The most important thing going into the weekend is that we try and get the championship for Mercedes. Hopefully I am the one that can come out on top on Sunday. 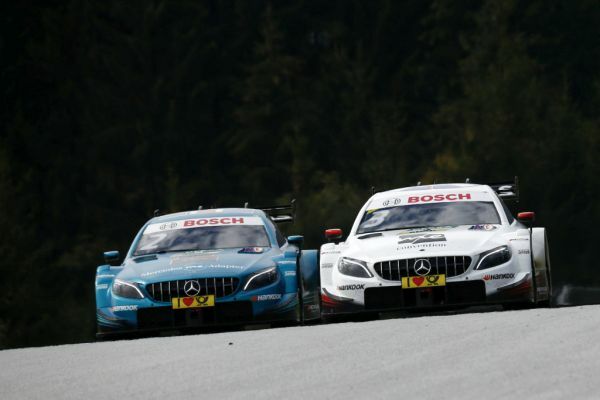 “Hockenheim is the last race of the season and probably also my last race in the DTM. You should never say never, but right now it looks very much like it. That’s why I want to do well at Hockenheim, on a track where I’ve always been pretty successful. “It’s hard to believe that we’re going back to Hockenheim already and that the season is almost over. In the grand finale, I will be going all out to end the season on a high. The two races at Hockenheim will not just be the last two races for Mercedes in the DTM but also my last two races as a Mercedes driver. “It’s amazing how fast the last few months have gone by, and suddenly here we are, facing our last DTM race weekend. At Hockenheim we have the chance to conclude this magnificent chapter in our motor racing history by scooping all three titles. We already wrapped up the manufacturers’ and team championships at Spielberg.